There are plenty of ways to get restaurant recommendations online, with Yelp and Foursquare being two of the best. A little known iOS and Android app out of London is looking to challenge the incumbents by mining Twitter data for information on the best places to eat, and it works really well. Twizoo is currently only live in London and San Francisco, but it will be rolling out to more cities in the coming few months. The app lets you search for specific restaurants or types of food or drink. It will then search the Twitter firehose and perform language analysis to identify the most useful tweets, and find you good places to eat. You can filter by price range, places that are open now and those where you can book seats. The quality of the Twitter search is the powerful thing here. Mention of a restaurant’s Twitter handle is an obvious indicator that a tweet is about that establishment, but Twizoo also checks sentiment and user credibility. For example, it automatically checks whether a user has a history of using Twitter as a ‘normal’ user, whether or not they appear to work at the restaurant in question etc. The results are generally really good, and the ‘Community’ tab is particularly useful as it lets you check recommendations from people you already follow on Twitter, and also lets you see the recommendations it’s picked out of your own tweets. CEO and co-founder Madeline Parra tells me that Twizoo is even able to identify tweets about restaurants that have really generic names, and would thus be difficult to identify via a simple search. The ‘Latest’ feed can sometimes pick out spammy tweets directed at a restaurant, but the ‘Notable’ feed is a good place to find real recommendations from genuine people. 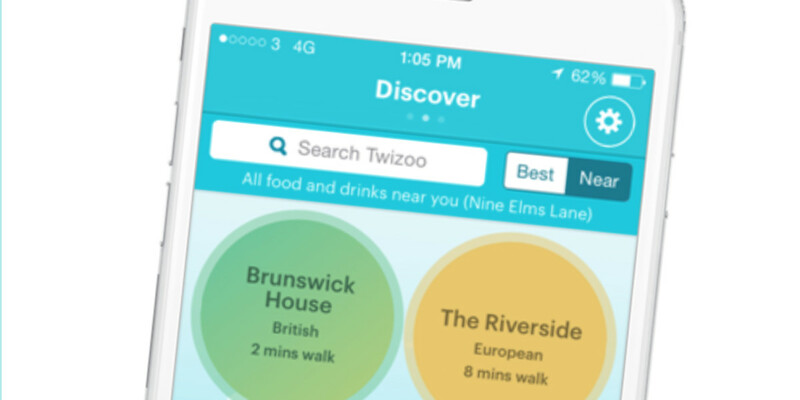 Twizoo launched quietly in London in July 2014 and in June this year expanded to San Francisco – a useful city to be in when you’re demonstrating your utility to staff at Twitter HQ. The startup’s cofounders have a background in social media sentiment analysis for brands and they realized it was a field that could benefit consumers, too. Expect to see updates to Twizoo in the coming weeks, along with its geographic expansion. One bug set to be squashed is that it can’t handle filtering your community’s recommendations if you follow a large number of people on Twitter (I follow 2,000+ accounts). Also, the ‘bubble’ interface can sometime struggle with the extra screenspace on an iPhone 6 Plus or 6s Plus. Still, Twizoo is a great example of putting the Twitter firehose to work for consumers in a clever way. Most of the time, the firehose’s value is only realized in expensive products aimed at journalists, researchers and financial professionals. Twizoo is also a reminder that there’s a lot more that Twitter itself can do to to mine gold from the millions of tweets it handles each day.